iOS 11: user-adaptable control centre, with application and function shortcuts in the lock screen. In the 1970s and 1980s the concept ‘cognitive engineering’ was used in the industry labs to describe an approach trying to apply cognitive science lessons to the design and engineering fields. There were people like Donald A. Norman, who wanted to devise systems that are not only easy, or powerful, but most importantly pleasant and even fun to use. One of the classical challenges of making technology suit humans, is that humans change and evolve, and differ greatly in motivations and abilities, while technological systems tend to stay put. Machines are created in a certain manner, and are mostly locked within the strict walls of material and functional specifications they are based on, and (if correctly manufactured) operate reliably within those parameters. Humans, however, are fallible and changeable, but also capable of learning. In his 1986 article, Norman uses the example of a novice and experienced sailor, who greatly differ in their abilities to take the information from compass, and translate that into a desirable boat movement (through the use of tiller, and rudder). There have been significant advances in multiple industries in making increasingly clear and simple systems, that are easy to use by almost anyone, and this in turn has translated into increasingly ubiquitous or pervasive application of information and communication technologies in all areas of life. The televisions in our living rooms are computing systems (often equipped with apps of various kinds), our cars are filled with online-connected computers and assistive technologies, and in our pockets we carry powerful terminals into information, entertainment, and into the ebb and flows of social networks. There is, however, also an alternative interpretation of what ‘cognitive engineering’ could be, in this dawning era of pervasive computing and mixed reality. Rather than only limited to engineering products that attempt to adapt to the innate operations, tendencies and limitations of human cognition and psychology, engineering systems that are actively used by large numbers of people also means designing and affecting the spaces, within which our cognitive and learning processes will then evolve, fit in, and adapt into. Cognitive engineering does not only mean designing and manufacturing certain kinds of machines, but it also translates into an impact that is made into the human element of this dialogical relationship. One of the key theoretical trajectories of cognitive science has been focused on what has been called “distributed cognition”: our thinking is not only situated within our individual brains, but it is in complex and important ways also embodied and situated within our environments, and our artefacts, in social, cultural and technological means. Gaming is one example of an activity where people can be witnessed to construct a sense of self and its functional parameters out of resources that they are familiar with, and which they can freely exploit and explore in their everyday lives. Such technologically framed play is also increasingly common in working life, and our schools can similarly be approached as complex, designed and evolving systems that are constituted by institutions, (implicit, as well as explicit) social rules and several layers of historically sedimented technologies. Beyond all hype of new commercial technologies related to virtual reality, augmented reality and mixed reality technologies of various kinds, lies the fact that we have always already lived in complex substrate of mixed realities: a mixture of ideas, values, myths and concepts of various kinds, that are intermixed and communicated within different physical and immaterial expressive forms and media. Cognitive engineering of mixed reality in this, more comprehensive sense, involves involvement in dialogical cycles of design, analysis and interpretation, where practices of adaptation and adoption of technology are also forming the shapes these technologies are realized within. 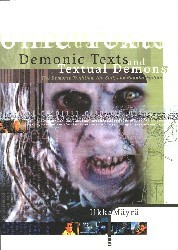 Within the context of game studies, Kirkpatrick (2013, 27) formulates this as follows: “What we see here, then, is an interplay between the social imaginary of the networked society, with its distinctive limitations, and the development of gaming as a practice partly in response to those limitations. 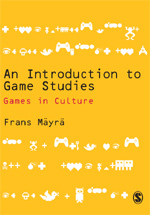 […] Ironically, gaming practices are a key driver for the development of the very situation that produces the need for recuperation.” There are multiple other areas of technology-intertwined lives where similar double bind relationships are currently surfacing: in social use of mobile media, in organisational ICT, in so-called smart homes, and smart traffic design and user culture processes. – A summary? We live in interesting times. – Boltanski, Luc, ja Eve Chiapello (2005) The New Spirit of Capitalism. London & New York: Verso. – Kirkpatrick, Graeme (2013) Computer Games and the Social Imaginary. Cambridge: Polity. – Norman, Donald A. (1986) Cognitive engineering. User Centered System Design, 31(61).